There are an assortment of tutus listed to purchase from inexpensive on through to rehearsal and performance varieties. In time a few more interesting pages are on the way... regarding the making and creation of tutu's themselves. Most of the tutu's shown are of tulle material, basic netting, or organza netting. Don't forget to visit the Tutu Gallery for designer ideas. Each shopping page also includes a variation or scene from a ballet. Ballet excerpts videos are from ballets such as; Swan Lake, Giselle, Raymonda, Pas de Quatre and Sleeping Beauty. The sister site to Tutu-ballerina is Ballerina-Pointes.com, where a large collection of pointe shoes can be easily found through their individual brand name pages. Ribbons and other accessories such as lambwool are also included with the ballerina-pointes selection. 1. Find a tutu to purchase. 2. Click on your tutu. 3. At Amazon, select the size. 4. Order with Amazon one click. Our shopping link collection includes a variety of different tutu shops that are all from Amazon. 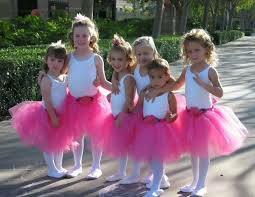 We offer a complete range of tutus, with a bias toward the dance of "Classical Ballet". If a listing is not available, Tutu Ballerina is still very useful as a similarity search. Similarity search listings, are normally listed below the out-of-stock tutus, which brings results, exact to the particular model, or near to it. So, you can make your decision on which tutu's, then click through... to purchase or continue your search further on their website or beyond. If you need pointe shoes, ribbons or other items also, click on your back key, normally on the upper left hand side of most browsers. Linux or Mac: Command and "D" keys. you may be able to get a discount also. For sewing, crafting and the creation of tutus.